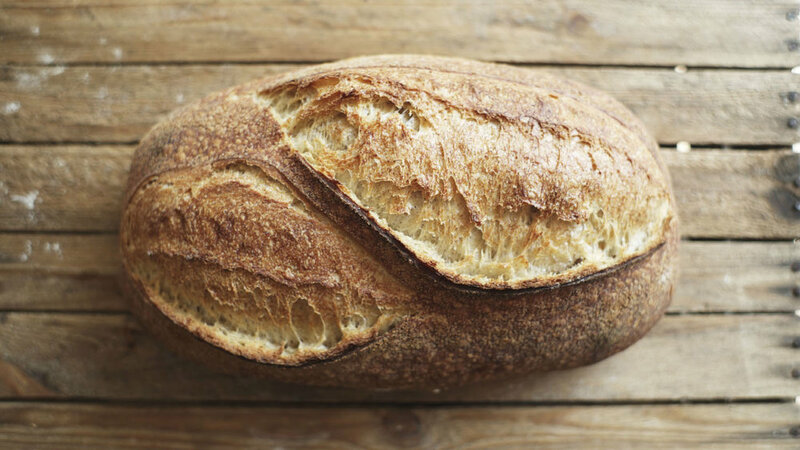 We make slow fermented loaves from natural ingredients, full of flavour and character. The bread we make takes care, attention and time. Where possible we use local and seasonal ingredients. Our organic flour comes from Shipton Mill, Gloucestershire. Most of our bread is vegan with only a few exceptions. Please ask if unsure and we will happily talk to you about our ingredients. White and wholemeal flour packed with a mix of soaked seeds and grains, the loaf has a great crust and flavour with a slightly denser crumb. Available in 800g and 500g loaves. Ingredients – organic white flour, organic stone ground wholemeal flour, water, linseeds, sunflower seeds, poppy seeds, rye grains, sea salt. Our most popular loaf! A classic country-style sourdough, made with white and wholemeal flour. Proved overnight, this loaf has a tender, open crumb and a flavoursome dark crust. Available in 1kg, 800g and 500g loaves. Ingredients – organic wholemeal flour, organic white flour, water, sea salt. 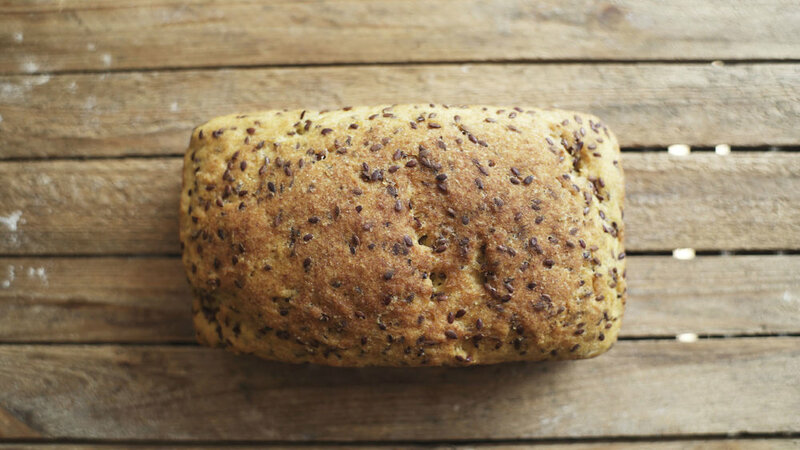 Complex and aromatic this loaf is made from a blend of rye flour, mixed seeds and spices. It is ideal thinly sliced and keeps very well. Available in 800g tin loaf. Ingredients – organic light rye flour, organic dark rye flour, water, organic linseeds, organic sunflower seeds, kibbled rye, coriander seeds, sea salt. The addition of rye flour and treacle allow for a slightly denser loaf packed with flavour. Great for both savoury and sweeter dishes. Ingredients - organic white flour, organic wholemeal flour, organic rye flour, water, treacle, sea salt. Spelt, an ancient grain is fast becoming very popular with our customers for it's nuttier flavour. Ingredients - organic white flour, wholemeal spelt flour, water, sea salt. Our gluten free loaf has had an upgrade! We now use a much higher quality Maize flour and have reshaped and resized for a more versatile loaf. Ingredients - Maize flour, linseeds, water, olive oil, sea salt, yeast, buttermilk, psyllium husk, sunflower oil.